The seminal EEF Guidance Report Making Best Use of Teaching Assistants point out the often-unrealised negative impact of many TAs on attainment. This series of articles explores how one MAT uses Cooperative Learning to operationalise the seven recommendations found in that report. “380,000 teaching assistants (TAs) are employed across the country, at an annual public cost of some £5 billion, but previous research had shown that in many schools (…) for students from poorer backgrounds the impact of TAs was too often negative. 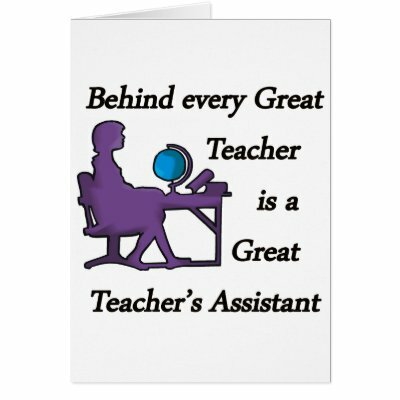 “(Making Best Use of Teaching Assistants). To drive the point home, TAs cost ¼ of an average school budget, TAs are present in most classes, and, furthermore, often handle interventions with vulnerable SEN and PPG pupils who have a disproportionate impact on results. In small schools, a bad day for a certain child during those fateful hours of SATs may spell doom. Much to their credit, Evolution Academy Trust of Norfolk have been among the first MATs to give this issue their undivided attention, putting money towards professional staff surveys and following up with tailored training to turn the recommendations of the EEF research into cost-effective practice that will increase staff engagement and outcomes for children. This is, of course, where Cooperative Learning comes in. Before we investigate the Cooperative Learning angle, this is a brief summary of the seven recommendations. Items I-IV cover class room context, V-VI cover out-of-class interventions, VII discusses the connection between the two. I. TAs should not be used as an informal teaching resource for low-attaining pupils. Systematic review of the roles of both teachers and TAs is needed. II. TAs should add value to what teachers do, not replace them. If TAs do have a direct instructional role it is recommended that these interventions supplement the teacher and are kept brief, intensive, and structured (see V). III. TAs should help pupils develop independent learning skills and manage their own learning, e.g. concentrate on helping pupils develop ownership of tasks, rather than task completion. IV. TAs should be fully prepared for their role in the classroom by providing sufficient time for TA training and for teachers and TAs to meet out of class to enable the necessary lesson preparation and feedback. V. TAs should deliver high-quality one-to-one and small group support using structured interventions. (This is where we find a consistent impact on attainment of up to four additional months’ progress). VI. Adopt evidence-based interventions to support TAs in their small group and one-to-one instruction. As a minimum, sessions should be brief, by TAs who are professionally trained, follow a plan with clear objectives, include real-time assessment, and connections should be made between the intervention and classroom teaching. VII. Ensure explicit connections are made between learning from everyday classroom teaching and structured interventions. – TA’s brainstorm output, Costessey Junior School, Evolution Academy Trust, 13 July 2017. The concern that TAs might not only not improve outcomes, or even decrease them, is not actually new. In 2009, a government-funded study by the IoE was headlined “Pupils receiving help ‘do worse'” by the BBC. Given that the average school shelves out a quarter of their often desperate budgets on TAs and the ever increasing focus on measurable results, one would think that everything else would be put on hold until the issue was resolved. – Anonymous teacher, TES Forum thread, Please help…problems with teaching assistant, 2010. It is a strange balance, as there seems to be a tacit understanding they can get away with almost anything, including scuttling outcomes, because they are straddled with the pupils and the work no-one else wants to touch – at an absolute minimum wage. There is little wonder some feel undervalued. Assuming Corbyn fails to pull the brakes on the neoliberal orthodoxy, the next government step will likely be to fire all teaching assistants, UK wide, and throw the £5 billion they currently cost English schools at trained teachers. To put this into perspective, three antagonistic TAs who scupper school improvement cost as much as a fully qualified teacher or SEN specialist who might, for example, be used to halve the number of pupils in a difficult class, making dedicated TAs irrelevant. However, the negative impact on the school community in itself would make any headteacher think twice before pulling the trigger on something so radical. Fortunately, the EEF Guidance notes that recent findings indicate TAs may add 3-4 months to pupils’ yearly progress – if given proper training and support. In summary, school leaders who want fast, high-impact improvement using their current resources need to look no further than their Teaching Assistants. Enter Evolution Academy Trust, Norfolk. Aside from the impact on TAs, adopting Cooperative Learning as a Trust-wide approach presents MATs with a cost-effective, DfE/EEF-recommended, and legally compliant way to spend its ample pupil premium funds on benefiting every child with 5-8 months of progress per pupil per year. (This is Cooperative Learning on its own, without the 3-4 months of additional progress noted above). It is vitally necessary for any MAT looking to convert more schools to demonstrate it can improve results and close achievement gaps rapidly – and what better incentive than to demonstrate that current schools have achieved rapid results with even minute investments in Cooperative Learning CPD. (As well as high staff retention, even in the face of conversion turmoil (e.g. See Stalham Academy). For MATs such as Evolution, whose ethos includes the independence of each school, Cooperative Learning simultaneously provides a practical toolkit that works and is easy to deploy and monitor for converting schools, yet its content-void nature means schools can retain their uniqueness and enhance the value of current good practice. This supports the Evolutions narrative of support, sharing, and egalitarianism. The monetary and social value of shared ideas and resources between 7+ schools would be immeasurable. Instilling a sense of worth and belonging among TAs, leading to heightened engagement, staff retention, fewer sick days, etc. Information gathering of any specific grievances, in the form of wish lists and possible solutions – and the roles various staff, including SLT and teachers, in these solutions. The key was to link TA empowerment, ownership and accountability throughout, again to positively impact daily work. Providing TAs with one or two very simple, manageable Cooperative Learning Interaction Patterns (CLIPs) with clear outcomes, to use with smaller groups of students by means of a unique, tailored CPD experience. Giving present members of senior leadership an opportunity to directly vet Cooperative Learning with a view to adopting this method in their schools. All slides and handouts were tailored and branded for the event, and effort was expended to ensuring a light-hearted, enjoyable ethos. Each session fielded up to six tables of TAs. Each session ended with delegates giving rated responses to three questions and providing comments on an anonymous feedback sheet. 77% of attendees’ responses were either positive or very positive about the events, which unveiled the vast majority of EAT TAs as a very valuable potential resource who feel they should be appreciated, and who are eager to bring their ideas and skills to bear. Given that TAs are sometimes “a notoriously difficult bunch,” as one headteacher once confided to me during a lesson observation, 77% positive feedback was a great deal higher than expected. Leaving TAs to flounder – or, worse, to actively impair teaching and learning – is likely a significant contributing factor to poor outcomes in any school. As TAs consume as much as a quarter of school budgets, including PPG, ensuring their positive impact on attainment is an obligation for responsible leadership. The following installments of this article will explain how Cooperative Learning cheaply and effectively may be used to operationalise each of the seven EEF recommendations in turn. For schools considering Cooperative Learning, following this thread is a must, as I am currently dedicating TA training elements into all standard CPD courses at no further cost. From the EEF Guidance Report, p. 19.